Percon are a Polish installation company who installed all projectors in this project. “We chose Optoma as they offered the best laser solution that fit within our price range, offering fantastically bright images, really good colour and the ability to be installed flexibly." “We have a very good relationship with the brand representative at Optoma who offered us continuous helpful assistance during each step of the project. During installation we had full technical and product support from Optoma. We even had a chance to review the concept with demo units before installation." “Our goal was to show the life of Jesus in a modern way, to gain the full attention of our exhibitors through providing an immersive experience. We decided to use projection as our tool. We were looking for a life-long, reliable projectors that were easy to use and flexible to install. Optoma was selected as the best brand that could provide all of this. In addition, we were thrilled that Optoma offered us continuous support from the very beginning of the process, all the way through to the final installation." “It was our partnership with Percon and Optoma that helped us to choose the perfectly fitting solution to fulfill our artistic vision of what we wanted." Задача: Tengent creative studios wanted to bring ancient religious beliefs and the story of Jesus to life through an eight-stage immersive, multi-room experience. Решение: In total, eight Optoma projectors were installed. Two of Optoma’s ZU660e projectors were installed with A15 exchangeable lenses. In addition to this, six EH200ST Optoma projectors were installed, as well as a custom-made control system and a 75” LG screen to create a true to life experience. Tengent studios are a creative studio proficient in storytelling with popular culture Vernacular. Their expertise lies in designing unique experiences. 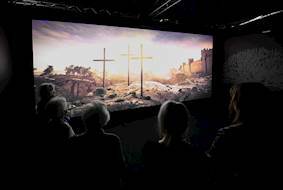 Tengent studios partnered with the installation company Percon to create an original and lifelike experience of the life of Jesus in an eight-stage experience in multiple rooms. 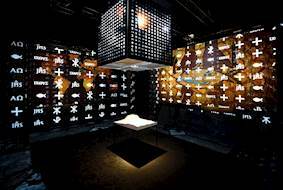 Each step was to be displayed in different rooms with narration by a famous Polish actor and dramatic lighting for an even more immersive experience. 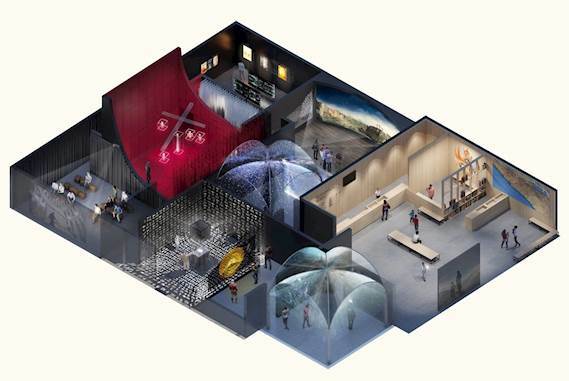 If successful, this would be the first exhibition displaying religious topics in such a modern and creative way. Krzysztof Piotrowski, Key Account Manager at Percon stated: “We chose Optoma as they offered the best laser solution that fit within our price range, offering fantastically bright images, really good colour and flexible installation." Multiple projectors needed to be installed in various locations, demonstrating the life of Jesus throughout eight different stages. A moving sky, 360 floating cube and walls needed to be projected onto, as well as ensuring the installation process was quick and simple. Most importantly, the content needed to be bright, colourful and eye-catching. 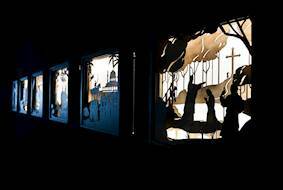 In total, eight Optoma projectors were installed to make this creative, religious experience one to remember. 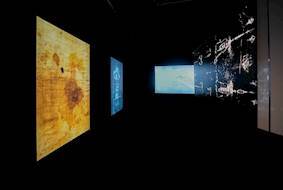 Two Optoma ZU660e projectors were installed with A15 exchangeable lenses in two rooms. The ZU660e’s were selected as the best laser solution due to their high quality, quiet noise and low price. The popular ZU660e Optoma projector offers spectacular image quality, low maintenance and ultimate reliability. With enhanced features such as four-corner correction and higher brightness, it joins the DuraCore laser line-up which combines industry-leading lifetime of the light source with an independent dust resistant certification for ultimate peace of mind. Providing up to an astonishing 20,000 hours of impressive, virtually maintenance free operation which is exactly what was required for this project. In addition to this, six EH200ST Optoma projectors were installed due to their ideal throw ratio offering and perfect lens for their application. Not only this, the EH200ST projector couples 1080p high resolution with bright, vibrant visuals to produce pin sharp graphics and crystal-clear text which was ideal for this installation. With a built-in speaker and two HDMI inputs the EH200ST was easy to setup and use. The installation was completed with eight BrightSign custom made control systems and a 75” LG screen to help create a true to life experience. The final result of the Śladami Jezusa exhibition experience was mesmerising and the first, most successful exhibition displaying religious topics in such a modern and creative way. Krzysztof Piotrowski, Key Account Manager at Percon commented: “We have a very good relationship with the brand representative at Optoma who offered us continuous helpful assistance during each step of the project. During installation we had full technical and product support from Optoma. We even had a chance to review the concept with demo units before installation." Michał Jaksik, Producer of the Śladami Jezusa installation said: “Our goal was to show the life of Jesus in a modern way, to gain the full attention of our exhibitors through providing an immersive experience. We decided to use projection as our tool. We were looking for a life-long, reliable projectors that were easy to use and flexible to install. Optoma was selected as the best brand that could provide all of this. In addition, we were thrilled that Optoma offered us continuous support from the very beginning of the process, all the way through to the final installation." 2x Optoma ZU660e projectors , 6x Optoma EH200ST projectors , 8x BrightSign custom made control systems and an LG 75” screen.